One of the best parts of going to conferences is meeting up with writing friends. Two years ago, my online crit group, The MiG Writers committed to each other that we’d all go to the SCBWI conference together. And we did! Above you’ll see a picture of all the MiG Writers in one place at one time! It was the first moment we got to meet together. 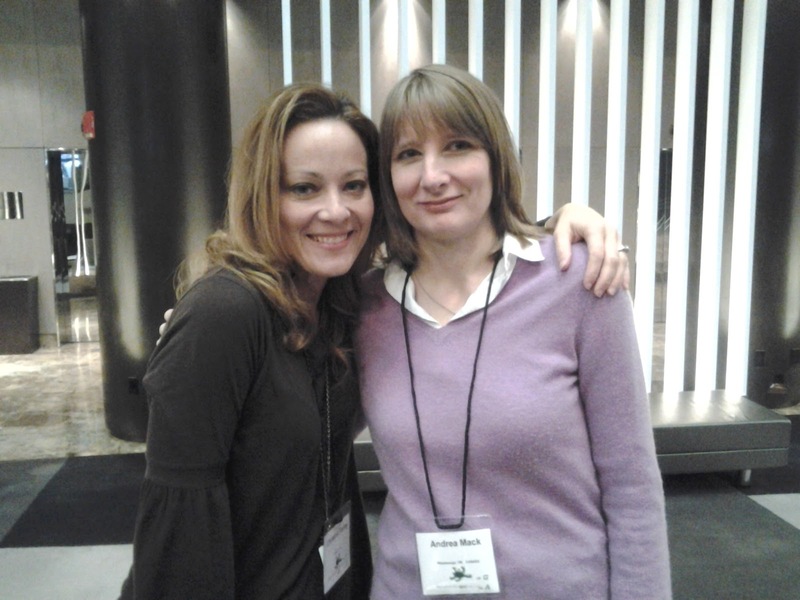 We had so much fun talking about writing, life, publishing, well just about everything. Susan Laidlaw gave me an autographed copy of her book, AN INFIDEL IN PARADISE. It was such a great moment seeing this book come into a reality. Debbie Ridpath Ohi signed I’M BORED, the book she illustrated for us. Carmella Van Vleet and me being silly. Kate Fall and me hanging out in the lobby. 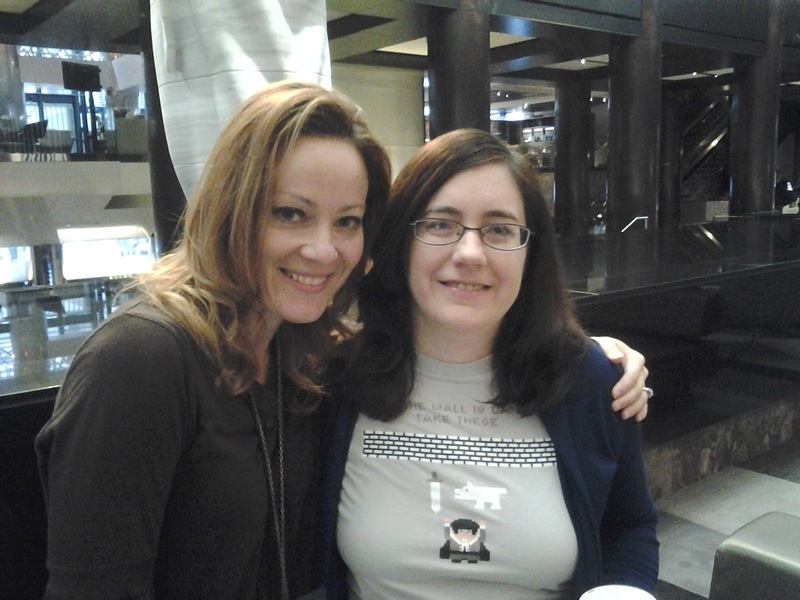 Andrea Mack and me seeing each other again (She visited Florida a while back so this was my second time seeing her). We even made a video of our time. Check it out! Very cute! I’ve yet to meet my critique partners. Someday, I hope. It was so fun, Christy! (Even though I don’t look like I’m having fun in the pictures…what can I say? I save my non-quiet side for my novels). I would so LOVE to do this one day. 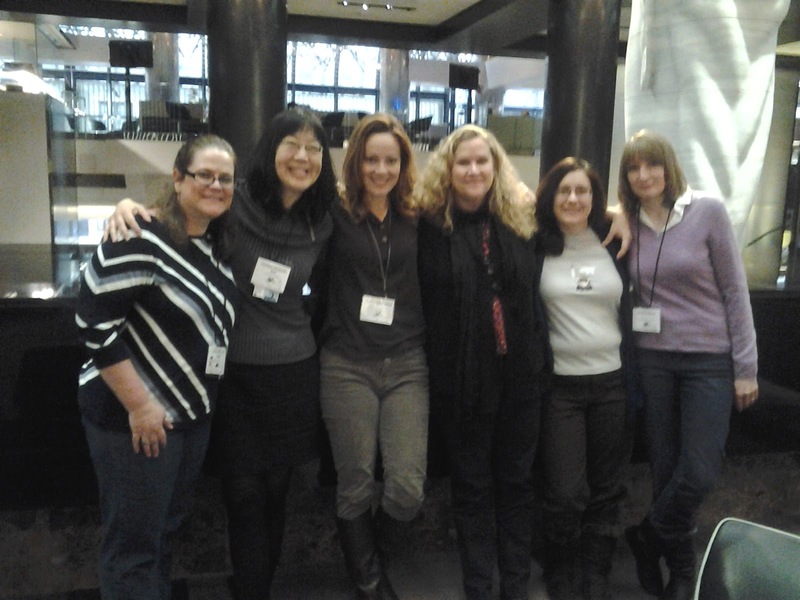 Meet up with all the ECO women I blog with at a conference. I think it would be soooooo much fun! It really was fun. It was great to finally meet everyone in person!